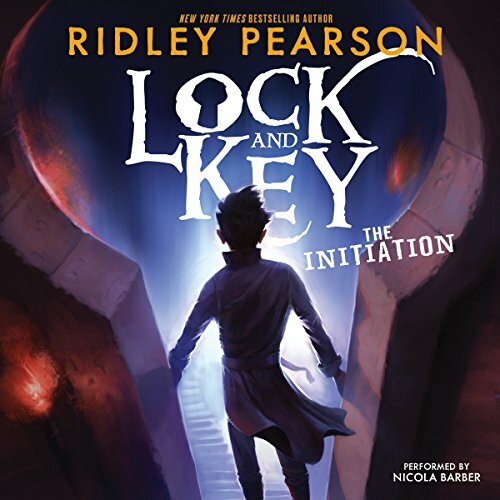 The New York Times best-selling author of the Peter and the Starcatchers and Kingdom Keepers series, Ridley Pearson, brings us the riveting first tale of the Lock and Key trilogy about the origins of the rivalry between literature's most famous enemies - Sherlock Holmes and James Moriarty - told from the perspective of James' observant little sister, Moria. Before James grew up to be a ruthless, remorseless villain, he was a curious boy from Boston, with a penchant for trouble and an acid tongue. Thrown into a boarding school against his wishes, James winds up rooming with a most unlikely companion: a lanky British know-it-all named Sherlock Holmes ("Lock" to his friends). An heirloom Bible donated by the Moriarty family more than 100 years ago has gone missing, and it doesn't take long for the two to find themselves embroiled in the school-wide scandal. The school is on lockdown until it's found, strange clues keep finding their way to James, and a secret society lurks behind it all. It's a brave new reimagining of the Sherlock Holmes series as only master of suspense Ridley Pearson could envision. As Rick Riordan, author of the Percy Jackson series, says, "This tale will change the way you see Sherlock Holmes and leave you dying to know more". 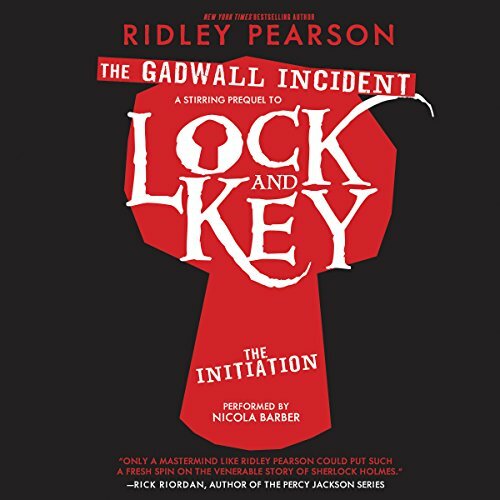 Ridley Pearson brings us the origins of the rivalry between literature's most famous enemies - Sherlock Holmes and James Moriarty - told from the perspective of James' observant little sister, Moria. Before James grew up to be a ruthless, remorseless villain, he was a curious boy from Boston, with a penchant for trouble and an acid tongue. Thrown into a boarding school against his wishes, James winds up rooming with a most unlikely companion: a lanky British know-it-all named Sherlock Holmes. In The Gadwall Incident, listeners get a glimpse into James' life a mere 24 hours before the tipping point - before life as he knows it changes irrevocably and his childhood slips into the shadows. Listeners will come to know the dangers that surround the Moriartys before James and Moria are sent off to the hallowed halls of Baskerville Academy, where they first meet the insufferable, inexhaustible Sherlock Holmes.